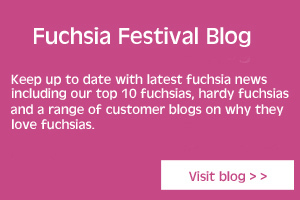 What is The Fuchsia Festival? 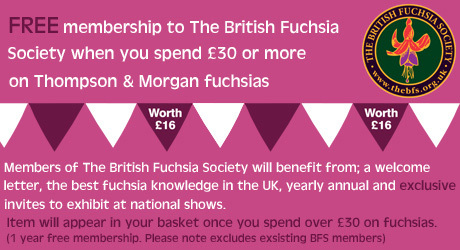 Here at Thompson & Morgan, we love our fuchsias and we know you do too, so weâve chosen to celebrate them throughout 2015! 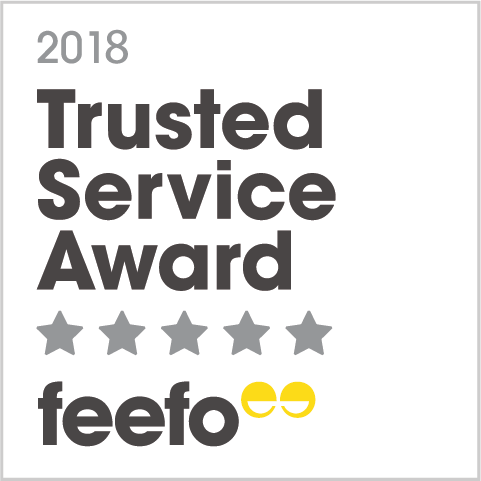 Weâve got some fantastic new varieties to show off, growing tips to share, as well as some exciting giveaways and competitions. 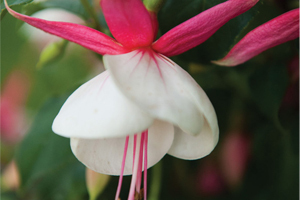 The fuchsia has a firm place in the hearts, and gardens, of our customers; thanks to their endless summer flowering, ability to grow in sun or shade, and their relaxed attitude to whatever the UK weather throws at them! Our new 'Pink Fizz' offers so much more than old 'Lady Boothby' and will even give common climbers like honeysuckle and a clematis a run for their money. Unlike tip-bearing 'Lady Boothby', it produces blooms all the way along each stem, from the top of the plant to the base, offering a block of vibrant, vertical colour on walls, fences, trellis and obelisks. Hardy to -10c, you can achieve up to 1.2m (5ft) of growth in a single season. For the best growth habit simply cut back plants by up to two thirds in early spring. "Few other plants perform so well in the garden with so little upkeep. Even 'tender' types can make it through winter with minimal protection in a sheltered garden. 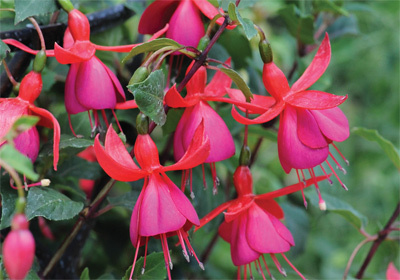 There is a fuchsia for every garden and every gardener"
'Every gardener should use fuchsias in their summer displays. They require little upkeep and put on an impressive show of flowers no matter the weather or situation. I've had them blooming well into December in my garden - even the so-called 'tender' types. 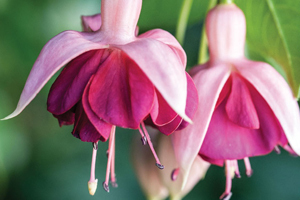 No matter your colour scheme you'll find an easy to grow fuchsia to suit your garden'. With blooms up to 10cm across, these turbo charged trailers guarantee a stunning and colourful display all summer. At an unbeatable price, you can fill your baskets, window boxes and Flower Pouches with these delightful blooms.